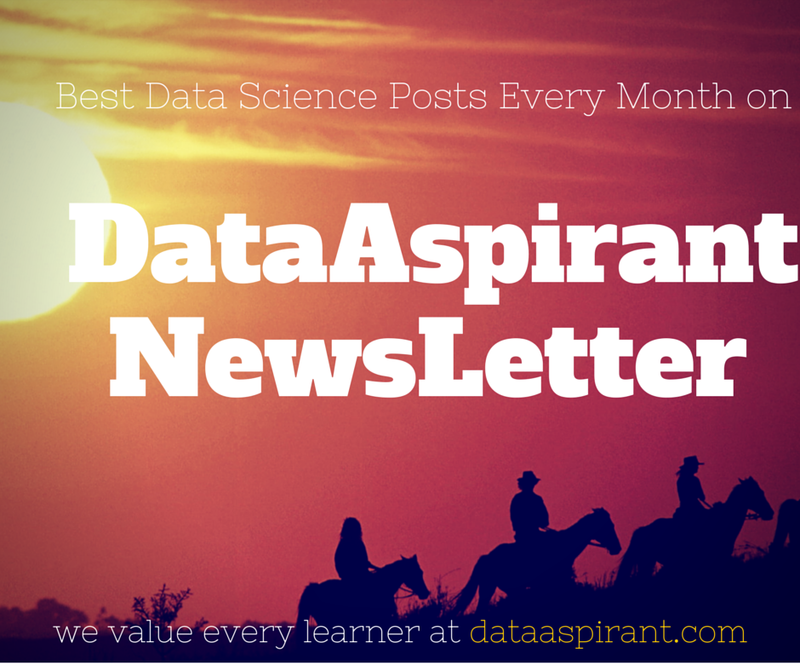 At dataaspirant, we value every learner that’s why we are excited about monthly newsletter to share best data science blog’s post with our blog followers. Our team’s goal is to build the best global platform for data science that can be accessible by everyone. Together, we aim to provide more quality content with clear explanation about the concepts. We have been continually improving the way we can share data science knowledge to world. This monthly newsletter is a step towards our improvement. Hope this will be helpful for all data science lovers.